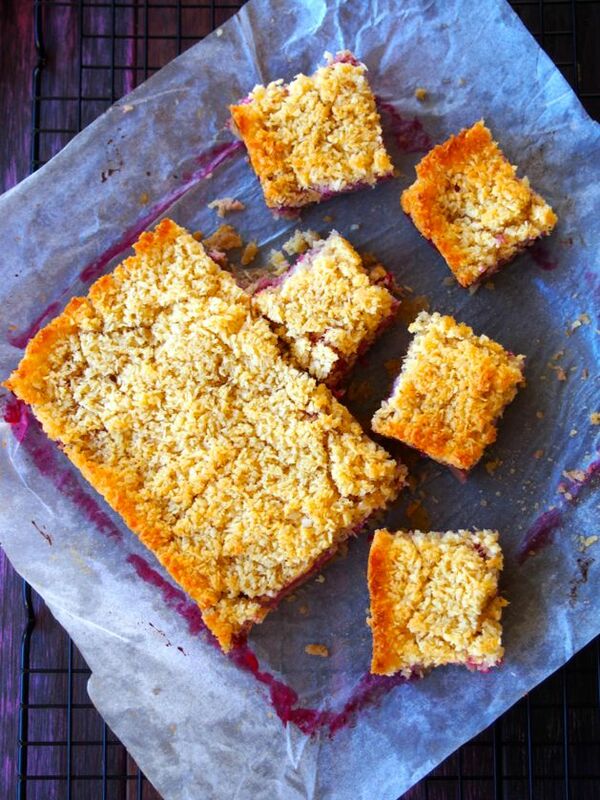 Sweetener Free Coconut Jam Slice. We’ve given Merrymaker Mum the task to health-a-fy all of her favourite classic recipes. The recipes that she used to make for us as kids! 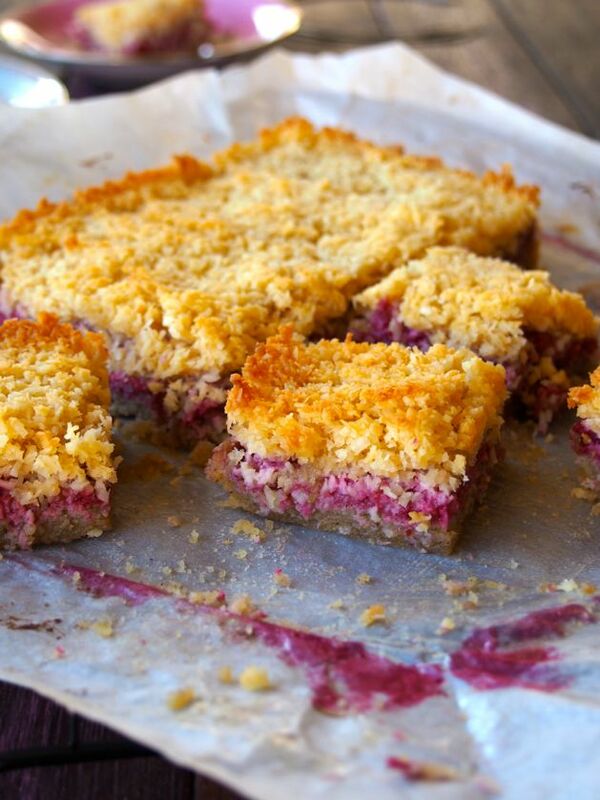 We’re talking this caramel date slice, banana bread, spaghetti bolognese and now THIS Sweetener Free Coconut Jam Slice. PLUS she has a list about 100 recipes long… chop chop! Better get on to that Mum (hehe! Just kidding!). If you follow us on social media you would have seen this recipe in its development stages! Getting the topping and base juuuuust right! Hooray for getting it right! 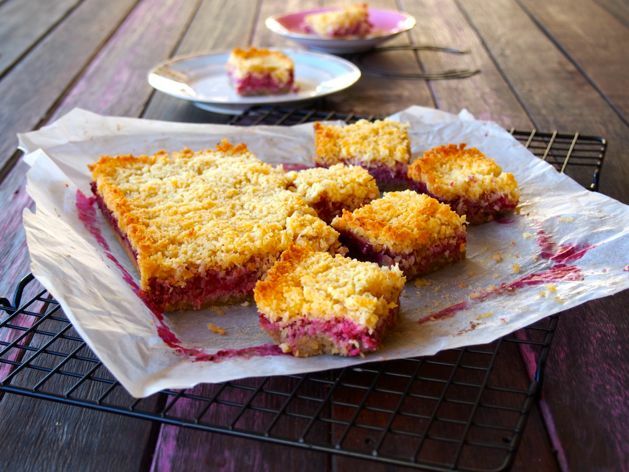 A biscuit base, delish raspberry filling and a perfectly toasted topping! Boomshakalaka! Now this recipe uses no sweetener at all… but, you might like to add 1-2 tablespoons of maple syrup or honey to the base… especially if you’re making it for friends/family who are not used to the whole sweetener free thing! OR… just do it with no sweetener! They’ll slowly but surely get used to your UNsweet treats just like all of our friends and family are! 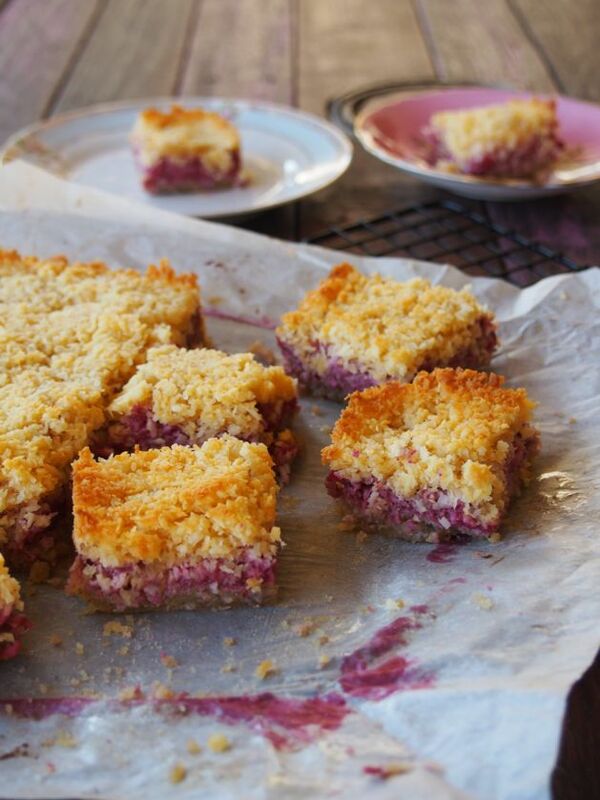 We hope you LOVE this Sweetener Free Coconut Jam Slice… we vote it’s the perfect afternoon tea treat! Now, start with the base. In a mix master (or blender) cream the almond meal, flour and butter together. Add the egg, vanilla and cinnamon. Press evenly in to the lined tin (use damp fingers to make this easier) and place in to the oven for 15 minutes. Meanwhile, blend the raspberries until pureed. Leave this for now. In a bowl mix the topping ingredients until combined. Spread the raspberry filling on top of the biscuit base, then sprinkle the topping mixture on top, press down slightly. Place back in to the oven for 35 minutes. Allow to cool before slicing and nom nom nom! As we said, if you like it sweet, add 1- 2 tbs. maple syrup or honey to the base!